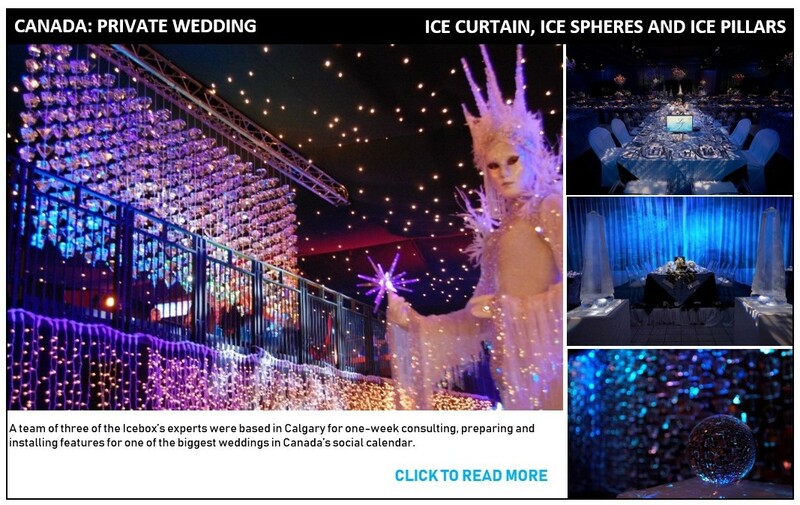 Supported by Calgary’s leading ice company and working with Tabletalk, the award-winning wedding planner and party designer, a team of three of the Icebox’s experts were based in Calgary for one week consulting, preparing and installing features for one of the biggest weddings in Canada’s social calendar. 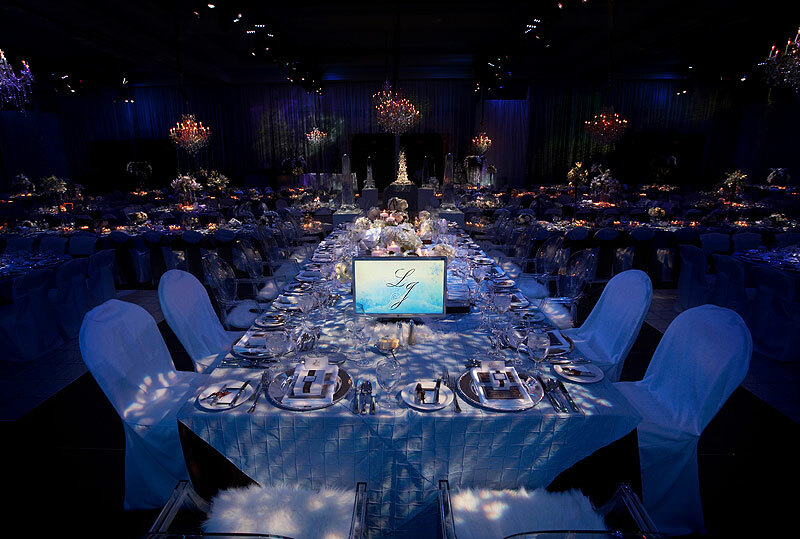 3m real flame ice pillars stood in the shadow of the Rocky Mountains at the 5-star Fairmont Banff Springs Hotel, which provided a spectacular entrance as guests arrived. 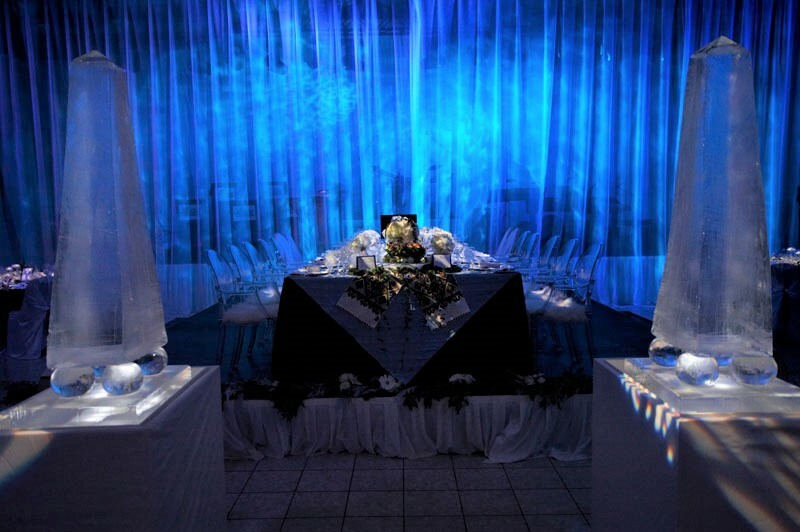 Within the reception suite, an avenue of ice obelisks lead the way to features such as an ice sleigh big enough for guests to sit in, and a 6m ice curtain made from beads of ice sparkling from dozens of fine threads, which provided a beautiful backdrop. 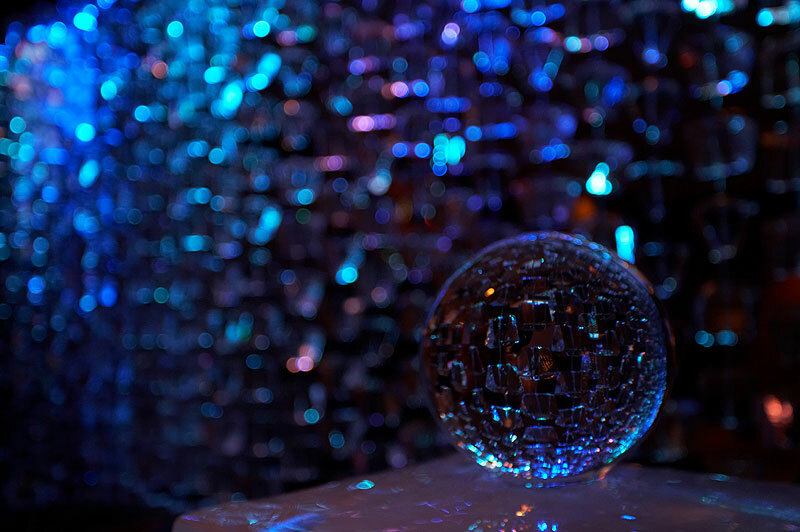 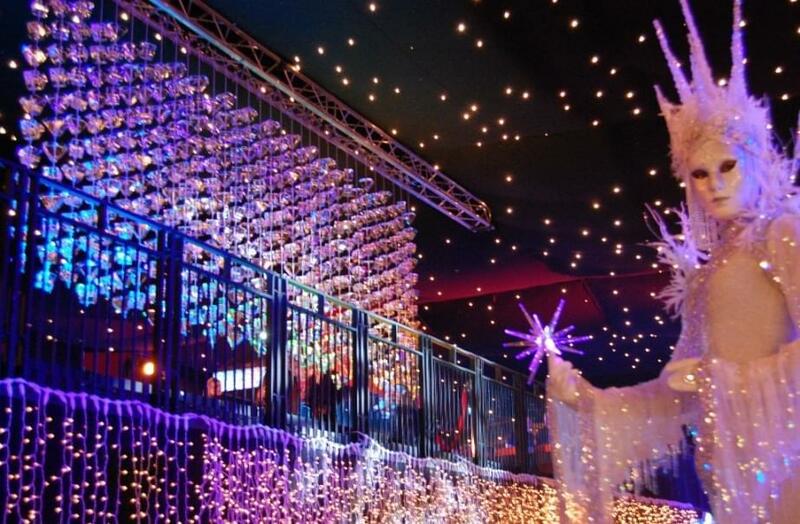 Guests were served champagne and cocktails from two 10m ice bars…..